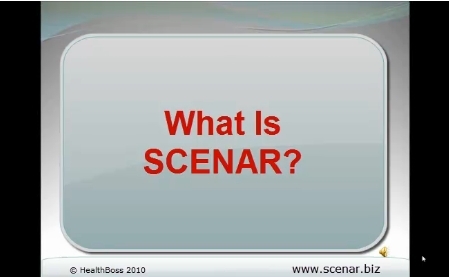 SCENAR (SKENAR) stands for Self-Controlled Energy Neuro-Adaptive Regulator (or Regulation), and it is the name given to both the technology as well as the family of devices. Over the last quoter of a century this name became generic. It covers not only a class of extremely effective energy-healing devices – adaptive electrical stimulators, but also an entire new field of medical science based on the theory of adaptivity and biofeedback-regulated accelerated healing. What is so UNIQUE about SCENAR and COSMODIC ®? How did SCENAR and COSMODIC ® COME TO BE? What can SCENAR and COSMODIC ® DO FOR ME? What is COSMODIC ® all about? How Do I Choose The Right SCENAR Device for Me? 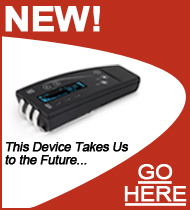 Do I need a lot of TRAINING to successfully use SCENAR and COSMODIC ® devices? What is so UNIQUE about SCENAR and COSMODIC ® ? 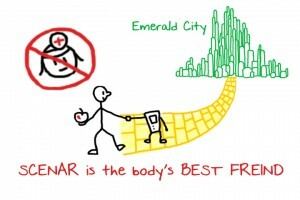 SCENAR (SKENAR) and COSMODIC ® are holistic in nature and energy-healing technologies that align and strengthen the natural healing system of the human body. In doing this, they promotes a fast recovery from a wide variety of maladies – from simple colds and bruises to autoimmune diseases and degenerative disorders. Universal Regulators of Bodily Functions. 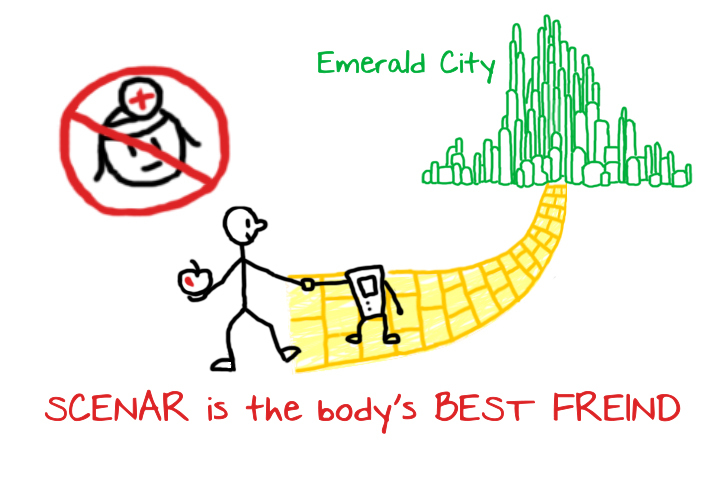 From a technical point of view, SCENAR (SKENAR) and COSMODIC ® devices are low-frequency adaptive electrical stimulators and, in a sense, represent the “ideal electrotherapy“. The FEEDBACK feature that determines the SCENAR (SKENAR) and COSMODIC’s ability to HEAR the body. 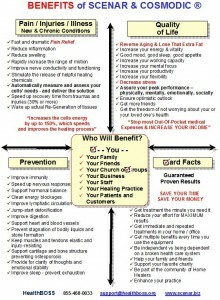 breaks the existing ‘energy cysts’ and jump-starts RE-GENERATION programs based on the continual Feedback from the body. 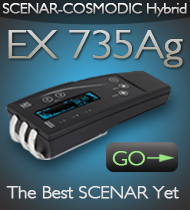 However, SCENAR is much more that just “the ideal electrotherapy” device. 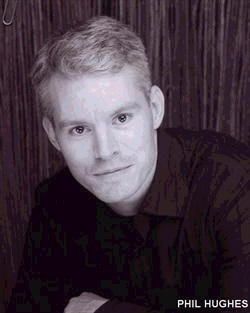 Since SCENAR is working on the same principle as living systems (self-regulation based on a feedback), it may be considered an “informational analog of a living system”. Good SCENARs are built inherently COHERENT. In the process of constant two-way communication they transmit their coherence to our dis-eased bodies, our confused minds, and our disturbed souls. And COHERENCE = HEALTH. Does that sound a little far-fetched to you? Read the articles below; they can tell you more. Or better yet, try SCENAR for yourself – you will see what we are talking about. SCENAR (SKENAR) was designed in the mid-’80s by the brilliant Russian scientist Dr. Alexander Karasev for the Russian Space Research Program. It was intended to help the cosmonauts maintain their health while in space by jump-starting and dramatically accelerating the body’s natural healing processes. The evolution of SCENAR (SKENAR) on the rise of the 21st century has brought us a new development – COSMODIC ® technology, also a brainchild of Dr. Alexander Karasev. 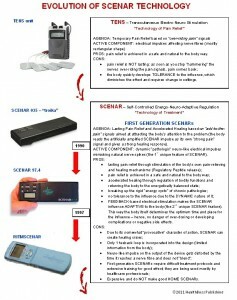 “the second generation SCENARs” *. COSMODIC ® is the first energy-healing technology that is capable of helping you not just heal, but actually REGENERATE – and often not only to the state your body had before the disease or injury, but to the innate healthy state of its original design. That capability of restoring the body to the way IT SHOULD BE was substantially enhanced in the last few years by the introduction of the “active” SCENAR and “active” COSMODIC ® technologies in the latest models of SCENAR-COSMODIC devices (such as the EX735Ag Modific – learn about it at its dedicated site www.EX735.com ). * – there is only one exception to the “rule of SCENAR generations” – the DOVE scenar. Even though the DOVE (which stands for the Device Organizing Vital Energy) is the purest representation of SCENAR technology, it is considered to be a second generation SCENAR. 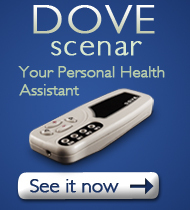 Learn about the DOVE scenar at its dedicated site www.dovescenar.com. • It cuts the healing time dramatically, by one-half to two-thirds. SCENAR (SKENAR) & COSMODIC ® devices by their very nature are extremely sophisticated electronic tools and yet, they are very easy to use and really fool-proof. 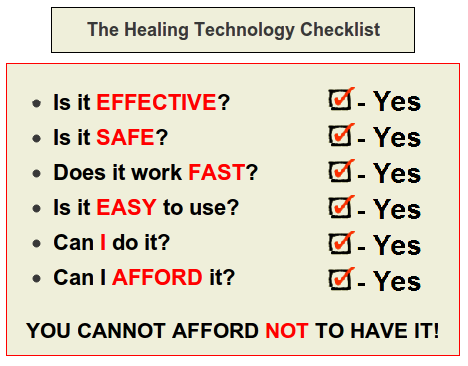 They can be easily used by ANYONE, ANYWHERE, and for virtually ANYTHING that needs healing and regeneration. 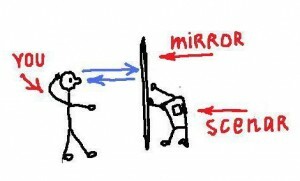 The first generation SCENAR’s neuro-like signal is “pathologically” increased in order to attract the body’s attention to the problem and increase the body’s awareness about it. 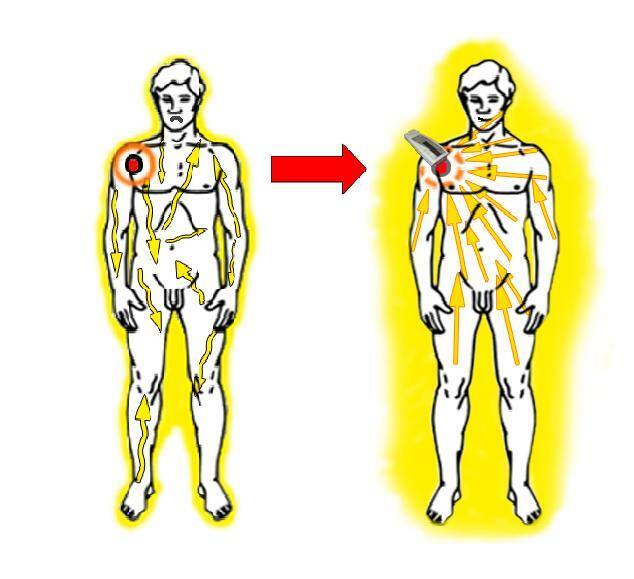 SCENAR “adds to the pain” in order to solicit a stronger healing response from the body. SCENAR technology allows restoring body functioning to the level it was at before the disease occurred. SCENAR restores homeostasis which the body had before the disease. In the following video Mike Beasley in 3 minutes explains you the mysterious mechanism of SCENAR action. COSMODIC ® amplifies the body’s healing reactions DIRECTLY, without amplifying the disease signals first. 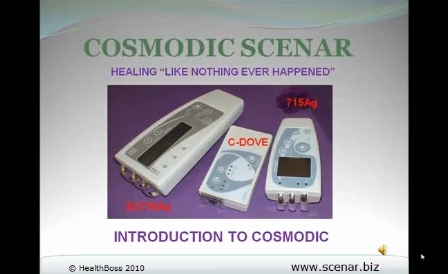 Instead of challenging the body to respond, as SCENAR does, COSMODIC ® carefully listens to the body and uses micro-resonances to tune into and amplify the body’s healing efforts. 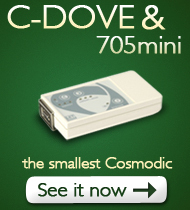 Unlike SCENAR, which ‘adds to pain’, COSMODIC ® directly ‘adds to healing’. COSMODIC ® works practically like a skilful coach collecting a lot of data, building a mathematical model of the body healing reactions as they are – and as they should be, amplifying them, and then gently and tactfully guiding the body to its best performance in healing and REGENERATION. These tasks require collecting a lot of information from the body. This ability of COSMODIC ® to receive and process large quantities of information from the body, determines a new quality of its impulses, which has now become more regulating than stimulating. Multidimensional and rich in information COSMODIC signals now come in bundles (called adaptive regulatory bundles), which are capable of both stimulating as well as sedating the body processes, thereby, mimicking the functions of the CNS (Central Nervous System). COSMODIC ® uses both central and local mechanisms to wake up and enhance the inherent capacity of our body to recover and rejuvenate on a cellular level, just like the CNS does. 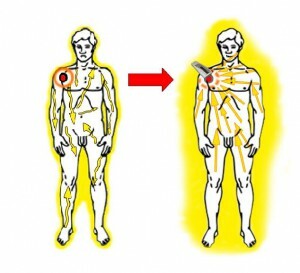 In this process, the body can even become stronger than it was at the pre-injury or pre-disease stage. COSMODIC ® is represented in the C-DOVE, the 705m, the 715, and the EX735Ag Modific and EX735Ag Slider devices, all manufactured by LET Medical Research Laboratory in Russia. Due to the conceptual differences, the first and the second generation SCENARs (or SCENAR (SKENAR) and COSMODIC ® devices) require different treatment approaches and a different methodology – hence, different TRAINING. For the first generation SCENAR device, it is really important to be in a right place at a right time, so methodology becomes critical. You will need to learn some treatment protocols in order to be really efficient in finding the exact place for treatment. We call these places “active sites” – or “small asymmetries”, in classical Russian SCENAR traditions. And yet, if you manage to find such a place, your treatment results can be miraculous. 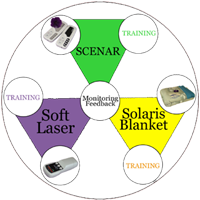 Learning the SCENAR methodology and protocols requires sometimes extensive training. 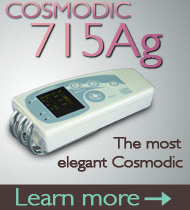 COSMODIC ® devices, by their very nature, are extremely sophisticated electronic tools. Yet, they are fully automatic and very easy to use: simply apply COSMODIC ® to the spot that hurts – and leave it there letting it do the job. Methodology is not that important here: COSMODIC ® devices are innately intelligent and will think for you. 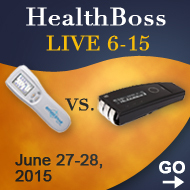 You may assume that COSMODIC devices do not require much training – and you would be right. Just reading an operator’s manual will teach you enough about your machine to get good results with it. Yet please remember that any SCENAR-COSMODIC training goes well beyond merely teaching you to operate your device. 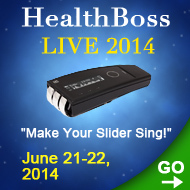 It offers you a paradigm shift in the way you see your body and approach health and healing. And THAT is what is needed for profound healing. Hi all – quick one – am trying to unearth a user manual for a scenar ritm 97.4PDS – small landscape screen middle bottom of the machine – with basics about the different settings, treatment practices etc – any help super gratefully received – many thanks! Salve vorrei avere informazioni in italiano per acquistare un scenar e manuale in italiano ! Soffro di artrite psoriasica da 17 anni , e vorrei sapere se mi può aiutare a guarire lo scenar? Attendo vostre risposte , grazie! 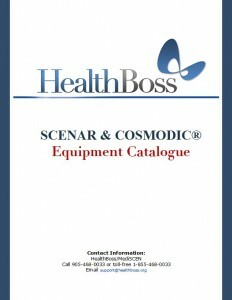 Unfortunately, we do not have any SCENAR manuals or training materials in Italian. Sorry about that. To your question about the psoriatic arthritis. As you know, it is an auto-immune disorder and as such, requires systemic approach. SCENAR and COSMODIC can certainly improve this condition, but it takes more than just electronic devices to reverse it. Lifestyle changes, major detox, dietary corrections, nutritional supplements and many other things need to be included in the treatment of auto-immune disorders, and several energy healing modalities should be tried. SCENAR can complement all of them, but using it as a single modality for auto-immune correction may be disappointing. My wife has pancreatic cancer with some evidence of cancer nodules in the lungs. She is in decent health and has not do any chemo, radiation or surgery. Currently doing IV treatment with Vit C and other substances. Which of your devices offers the greater help? How often should it be use and for how long? Thanks.